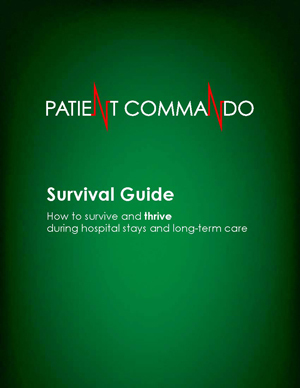 Patient Commando’s Survival Guide: How to Survive and Thrive During Hospital Stays and Long-Term Care. Suddenly, everything has changed. Not just your state of health, but your lifestyle, your routines, your sense of comfort and safety, even your access to your home. 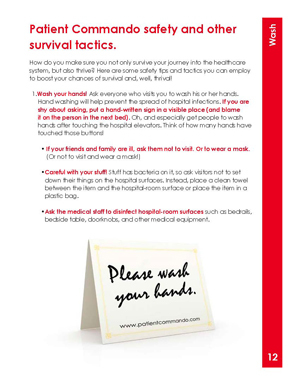 You might require a hospital stay or some form of long-term care. Now what? Despite all our best efforts to create a life that is predictable, change has a way of sashaying through our garden gates and kicking us out of our lawn chairs. But the reality is, we can’t stop change. But that’s okay, because if we understand that change always happens, we are more prepared to cope with it. The other good news is, you don’t have to do it alone. Enter Patient Commando. We’re here to help! 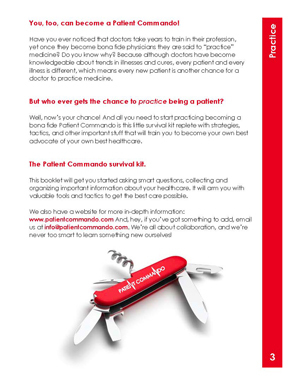 Patient Commando is committed to helping patients become better equipped to manage their healthcare. 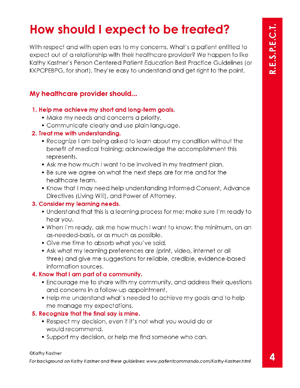 Our support system gives patients an arsenal of skills and tools to take command(o) of their healthcare. So, what makes us experts in the field, you ask? Well, we have been patients ourselves, so we understand how confusing and scary it can be. And we have come through the system alive and kicking with some great ideas on how you can become a collaborative partner in your own healthcare. Plus we get a lot of help from experts in the field; we are an advocacy group that works with health providers and patients to increase excellence in all areas.